Audrey is our lead functional nutrition practitioner. She founded Functional Origins in 2015. 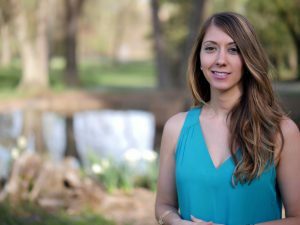 Her blended background of traditional dietetics and integrative and functional nutrition makes coming to our practice a unique experience. Audrey’s passion to open her own practice began through her early career working in traditional nutrition counseling in a hospital setting. At that time, she faced the reality that nutrition was lowly regarded in Western medicine and that being a part of the “sick-care” model of medicine limited her potential to truly help people. Audrey and her team consider their work to be front-of-the-line therapy for chronic diseases because they promote and support healing at the root cause. This approach is grounded in functional medicine and nutritional science. It addresses the body as a whole, including emotional and spiritual wellbeing. It is targeted, personalized, and effective. Audrey and her team strive to empower their clients to take the wheel and be in charge of their own health. Education is one of the most useful “tools” provided to clients because once they know the what to change and the why, they do it confidently! Alexis holds a Nutritional Sciences degree from Penn State University and completed a nine month Dietetic Internship at the Mayo Clinic in Jacksonville, Florida before becoming a Registered Dietitian. Alexis interned for Audrey while completing her undergraduate degree. It is at that time, she learned all about functional nutrition and the connection between diet and disease. It was a turning point for her because she understood the significance of taking an individualized approach for each person. She looks forward to pursuing her Masters Degree in the near future in Integrative and Functional Nutrition. At Functional Origins, Alexis and Audrey collaborate on all client cases to ensure thoroughness and great service. Alexis provides nutrition counseling and support to our clients and helps with content creation of recipes, menus, and programming. She also is our point of contact when you reach out to us regarding questions and scheduling.